Tonight, I didn’t get any work done on the airplane, but I did finally stop by Northern Tool and Equipment for some air compressor accessories. 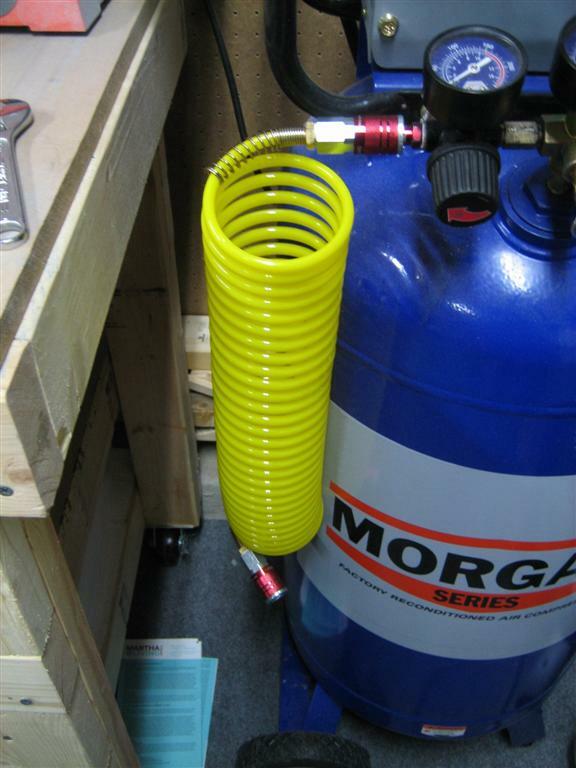 To get my Harbor Freight air regulator and oiler up and running, I needed a second air hose, some quick disconnect fittings, and some thread seal tape. Here are the purchases. 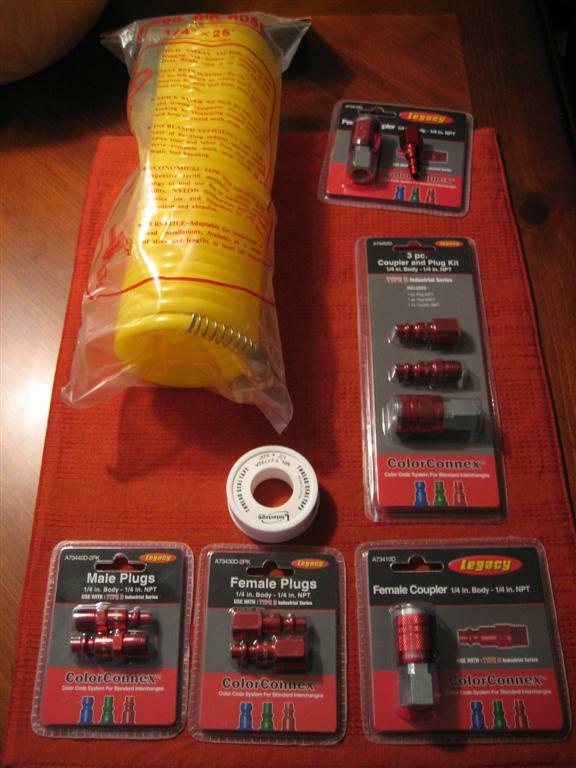 Northern Tool and Equipment purchases. First thing, I grabbed the unit out of the box. It's a nice red color. 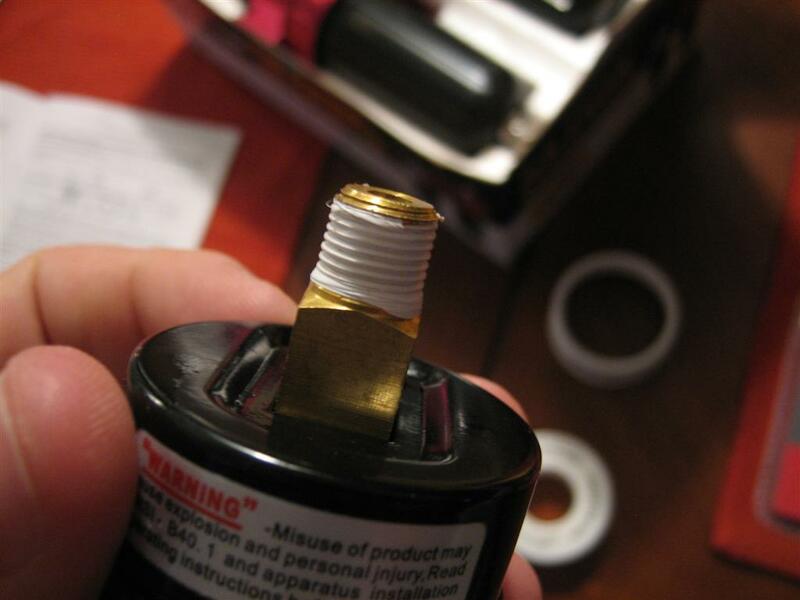 Then, I used some thread seal tape, and installed the pressure gauge. Pressure gauge, ready to be installed. 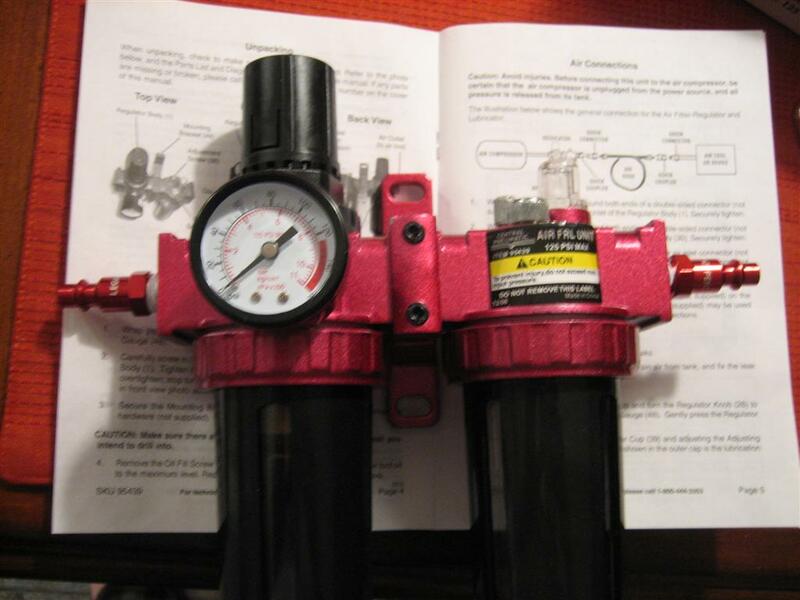 Next, I installed two male fittings on either side of the regulator/oiler. Ready to be mounted to the workbench. After taping the rest of the quick disconnect units with thread seal tape, I took everything out to the shop and started getting stuff mounted up. Here's another lightweight hose I bought. 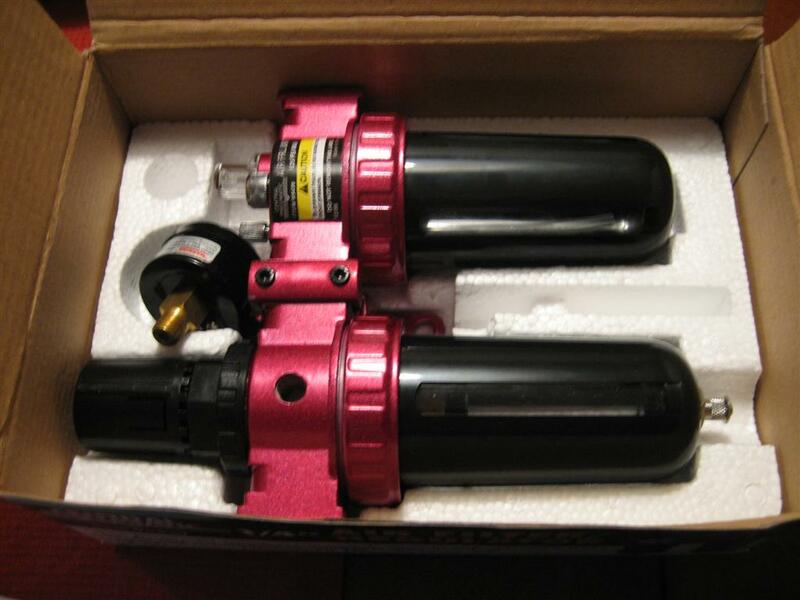 This will go between the compressor and the regulator/oiler. 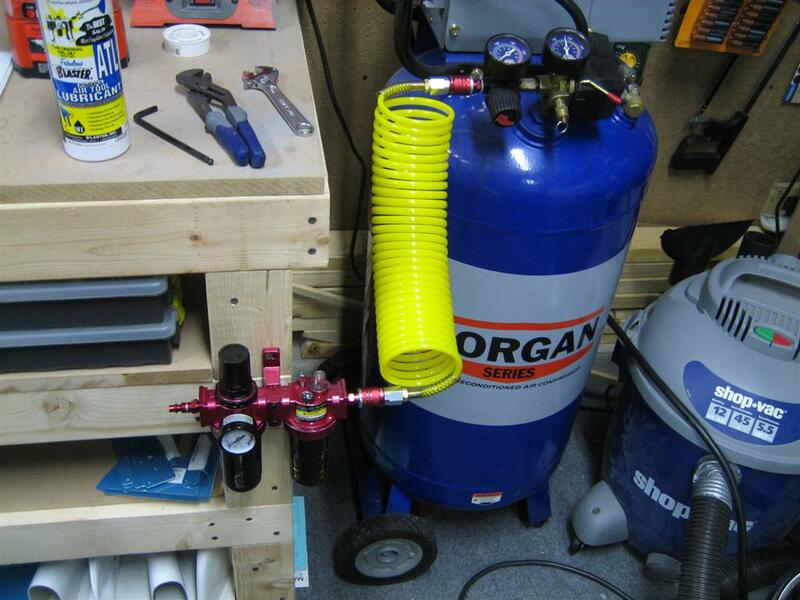 Then, I mounted the regulator/oiler on the side of the workbench. I made sure to line it up so that it didn't obstruct the access to either of the top shelves in the workbench. Then, I hooked it up and played with it a little to make sure it worked. I’m still not positive on it’s operation (I now have two regulators in series, but I think it should work). I’m not marking any construction time for tonight, but I will record the entry under tools. This entry was posted on Tuesday, March 2nd, 2010 at 10:40 pm and is filed under Tools. You can follow any responses to this entry through the RSS 2.0 feed. You can leave a response, or trackback from your own site.